is a beautiful HII emission nebula, which is actively birthing stars. 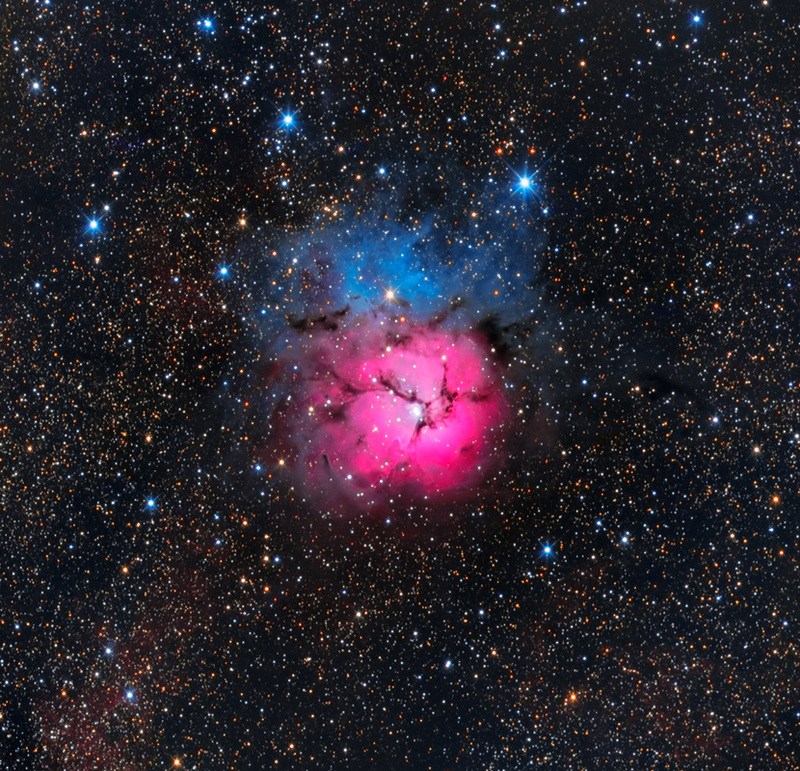 Capped by rich, blue reflection nebulosity to the north, The Trifid was discovered by Charles Messier in 1764, and lays approximately 5,000 ly from Earth. The dark dust lanes in the pinkish region are designated B85 (Barnard catalog), and it is their structure that gives the nebula its common name, as they appear to divide the 'flower' into 3 petals. Many thanks to my observing partner Mike Miller for the nice data. Here M20 partners with M8.